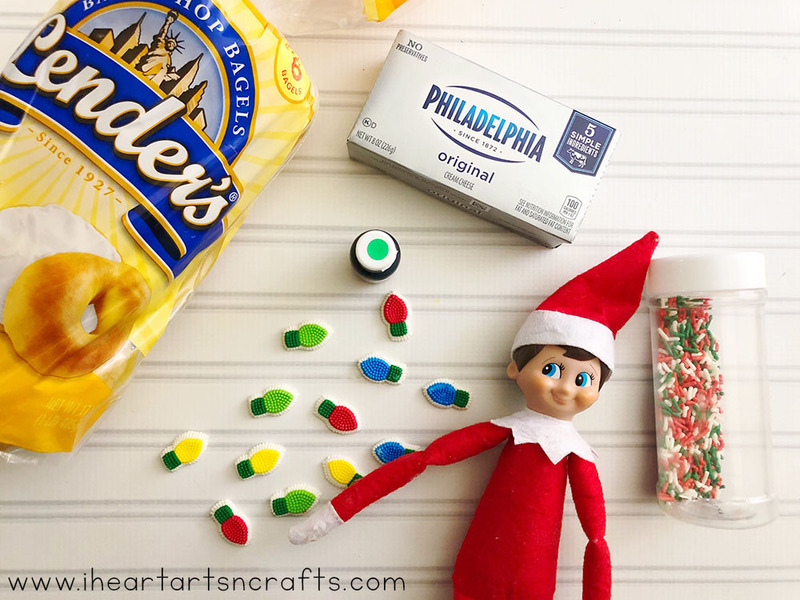 Looking for a fun and simple idea to welcome your Elf on the Shelf this year? Have a special Elf on the Shelf breakfast! 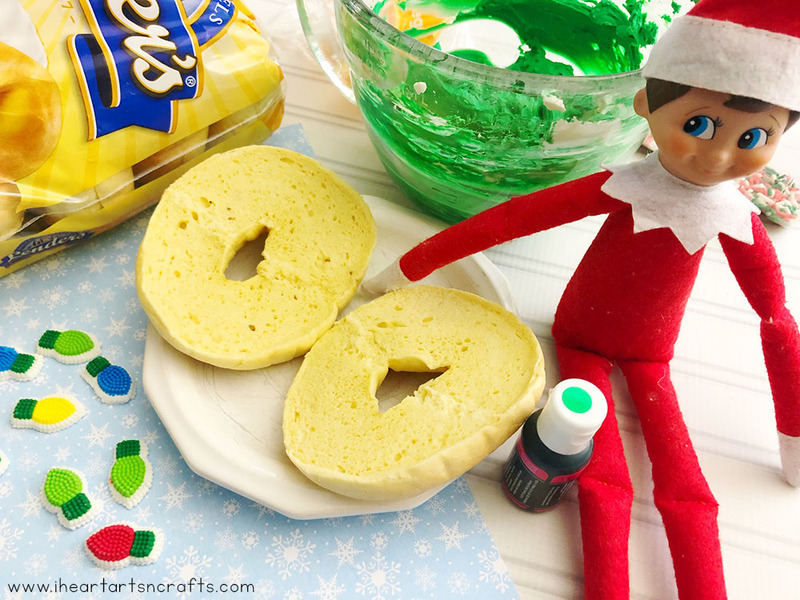 These Christmas bagels are so easy to make the kids will love them! I can’t believe that it’s almost that time of year for our Elf on the Shelf. The first day the little guy arrives is always so much fun, I love seeing the look on their faces in the morning! 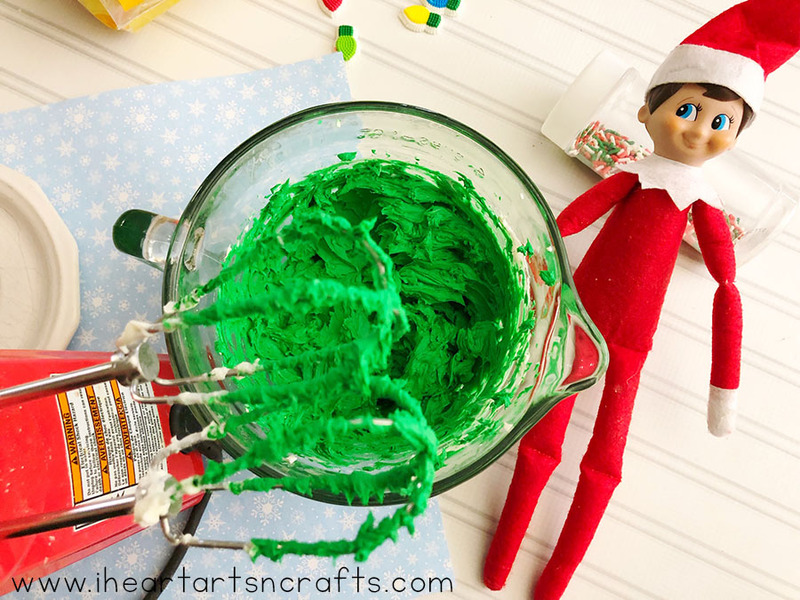 I usually always have some type of fun Christmas themed breakfast planned for the Elf on the Shelf’s arrival. 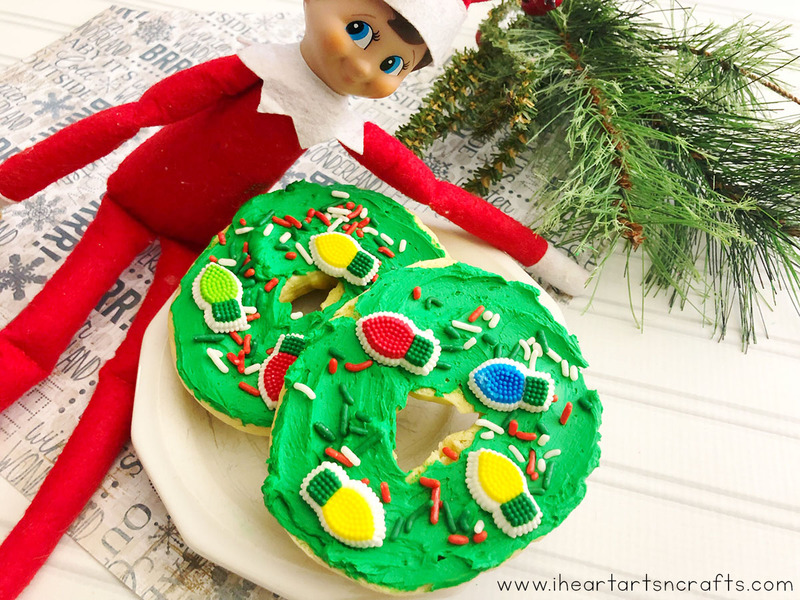 If you’re looking for something special, I’m sharing an easy Christmas breakfast idea that you can do even if you don’t have an Elf on the Shelf. 1. 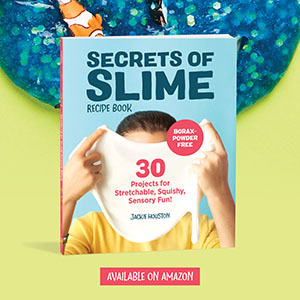 In a small mixing bowl, combine the cream cheese and green food coloring and mix using s hand mixer. 2. Toast a bagel and spread the cream cheese on top. 3. Top with sprinkles and candy decorations. 4. 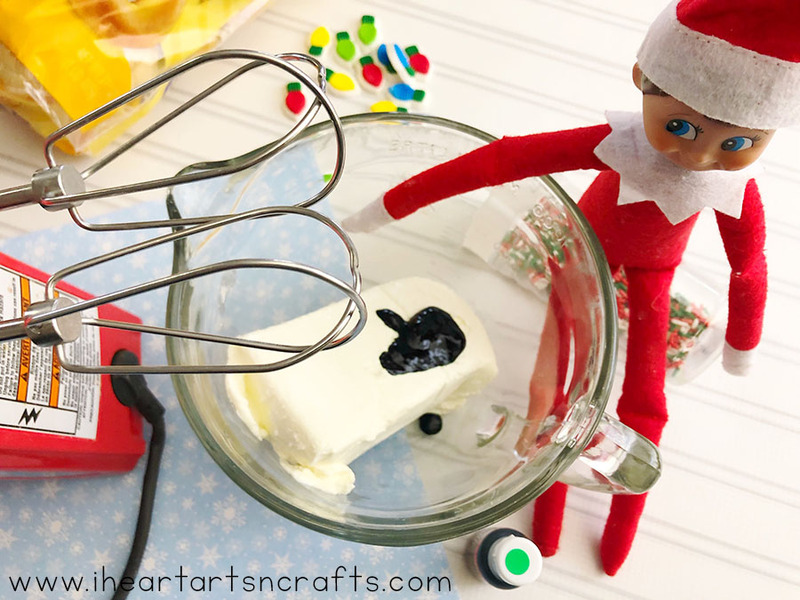 Print out the in process photos to show that elf helped make breakfast!